We have to be in the snow mode way ahead of you in order to be ready to serve you when the white stuff begins to fall. 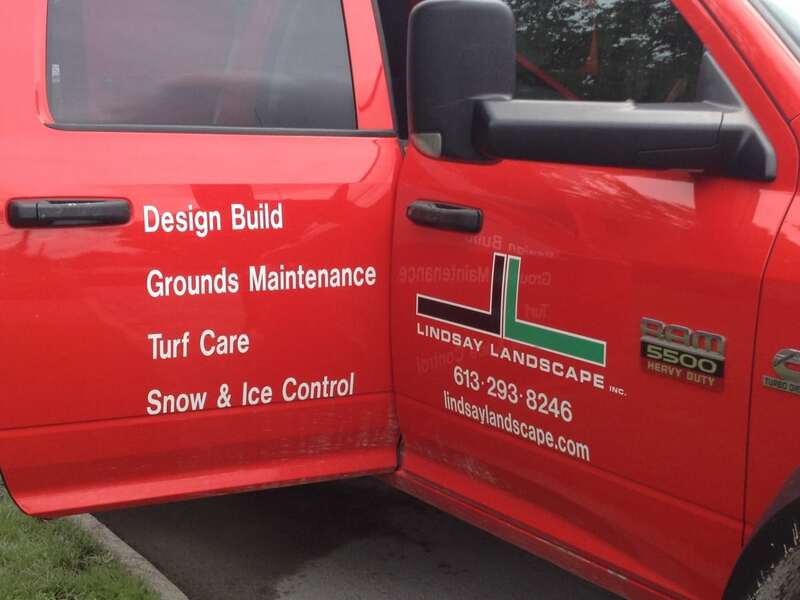 Lindsay Landscape services both residential and commercial properties in certain neighbourhoods within the City of Ottawa. When looking to hire a snow clearing company use caution as there are many “fly by night” operators out there. Lindsay Landscape is heading in to our 13th year of snow clearing. You want to ensure that your snow clearing contractor is insured and registered with the Better Business Bureau. 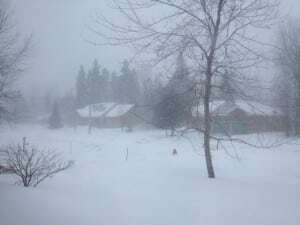 Ask these questions: What is the trigger snow fall amount? Will they return to clear the windrow left by the city plows? Is their equipment well maintained? Do they mark the property before the snow fall so that there is reduced risk of damage? 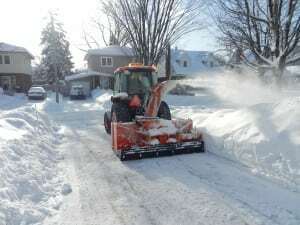 When you are talking snow removal for residential properties a blower is the ideal solution as it is gentler on the driveway and it does not produce as high a mound on the sides of the lane. The tractor with a blower disperses the snow so it accumulates more gradually leaving less of the tunnel effect on your driveway. Although, if we have a heavy winter by March it is still going to be a big pile of snow! Please call or contact us through our website for a quote. Some of our routes do fill up so sign up early. Stay tuned for the next Lindsay Landscape Blog Post.